They live in tiny, austere cages not much larger than their bodies, isolated from their peers. These pitiful lab rats once served merely as control groups for researchers, to be compared with rodents in more comfortable abodes with toys and fellow lab animals for interaction. But then scientists realized these unfortunate rats could be the perfect model for a bigger, uglier experiment, since their living conditions mimic those of human prisoners in solitary confinement. Within just a few days, rats isolated in small, nearly empty cages exhibit stress-related symptoms, aggressive behavior and higher incidences of disease, and they begin to lose the ability to recognize other animals. Over time, even their brain cells, synapses, blood flow and nervous systems start to be impaired. Scientists believe this happens to humans in isolation as well. “Our brains cannot function without social interactions. We require them as much as air and water,” says Michael Zigmond, a neuroscientist at the University of Pittsburgh. He and other scientists have drawn attention in recent years to the effects of solitary confinement on people’s brains, minds and behavior. In 2016, Zigmond and his colleagues studied how mice and rats respond to both isolated and enriched environments. For the latter, they grouped 14 mice or six rats in a meter-wide cage with toys, mazes, tunnels and places to climb; this was meant to simulate what a natural rodent society might be like. They found that the isolated rodents tended to have brains with smaller neurons, with fewer branches in regions like the hippocampus and cerebral cortex, which are involved in learning, memory, perception and executive brain functions. The amygdala, which influences feelings of fear and panic, was an exception, showing more activity. Rats and mice share about 99 percent of the same genes as humans, so Zigmond believes his research is very relevant to human prisoners. In a new study published in March, another group of researchers spoke with recently released prisoners and found that those who spent time in solitary were more than two and a half times more likely to show post-traumatic stress disorder symptoms. These include things like numbness or detachment, nightmares, angry outbursts and avoiding situations that trigger memories of the event. He also saw a correlation between solitary confinement and suicide attempts. 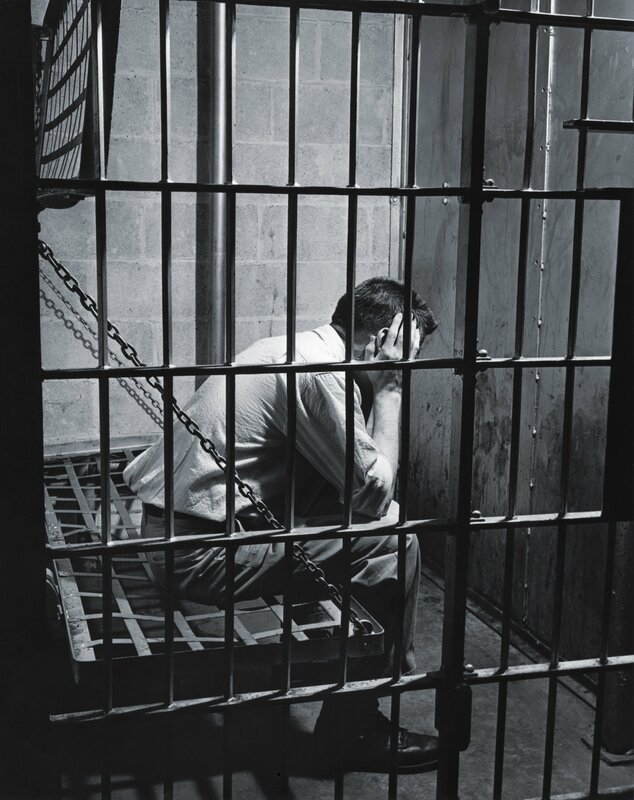 “If exposure to solitary confinement causes PTSD, then it may be harmful and dangerous and something we should think twice about,” says Dr. Aaron Fox at the Montefiore Medical Center in the Bronx, New York, who was lead author of the study. “If people with PTSD are placed in solitary confinement, that’s also a problem, as it’s exacerbating their mental health problems.” He adds that if we have these questions about solitary confinement, we should be demonstrating that it’s safe before it’s used as punishment. Nearly one in five prisoners in the U.S. is put in solitary confinement, according to the Bureau of Justice Statistics, and the majority of them are isolated for at least a month at a stretch. 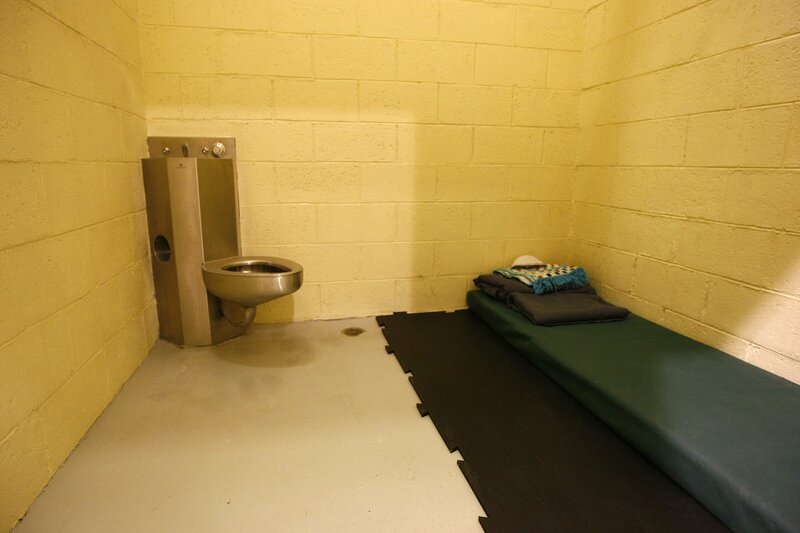 Prisoners in solitary often spend 23 hours of every day in a spartan concrete box the size of a parking space, and they usually have access to only a bed, a sink and a toilet. Humans are social animals, yet in these conditions, they lack any meaningful social interactions, in addition to being kept in a state of sensory deprivation, with limited sunlight and exercise. Prisoners in solitary confinement rarely interact with staff and are fed through a slot in the door. Some legal experts, such as University of Pittsburgh constitutional law professor Jules Lobel, liken solitary confinement to “cruel and unusual punishment,” which is outlawed by the U.S. Constitution, and torture, which is prohibited by international law. Yet the treatment of prisoners and their housing conditions are currently less regulated by federal law than that of lab animals—the 51-year-old Animal Welfare Act requires that social animals have to be housed in groups. It doesn’t apply to humans. “I can tell you from experience: If you’ve done time in solitary confinement, you’ve been damaged. Even if you survive it, it has an impact on you,” Robert King said at a law and neuroscience conference in San Francisco in February. He is a prison reform activist who spent 32 years behind bars, including 29 in solitary, before his conviction for an armed robbery—for which he maintained his innocence—was overturned and he was released. While King managed to survive that extraordinary stretch of isolation, many prisoners do not cope so well. Some experience “isolation panic,” feeling anxiety and fear from the very start, says Craig Haney, a psychologist at the University of California, Santa Cruz, and a leading expert on the effects of social isolation. “The longer they’re in it, and especially if they’re not sure when they’re going to get out, a range of negative psychological reactions begin to mount,” he says. In interviews with people who have been in solitary confinement, Haney finds that the prisoners begin to experience anxiety attacks, a sense of hopelessness and clinical depression, which can lead to them harming themselves or even attempting suicide. They also feel somber and lethargic, not wanting to initiate activity of any kind. Some also experience forms of cognitive deterioration, such as not being able to remember well, learn new things or concentrate, and they can even begin to lose their grip on reality. Isolated prisoners have twice the number and more than twice the intensity of stress-related symptoms, compared with the general population of maximum security prisoners, Haney says. Based on interviews with people held at California’s Pelican Bay supermax prison for 10 years or more, he also finds that they have pathological levels of loneliness. Legal officials appearing to be heeding this research. On February 22, a U.S. District judge ordered the Justice Center jail in Syracuse, New York, to stop putting teenagers in solitary confinement to avoid “directly harming a juvenile’s psychological condition.” Several other local and state authorities restricted the use of solitary confinement for juveniles after the Obama administration issued new rules last year doing the same for federal prisoners. While advocacy on the issue has focused on juveniles, experts say solitary confinement is bad for everybody. Severely restricting an older person’s daily mobility is a well-known risk factor for precipitous declines in health, according to Brie Williams, director of the University of California Criminal Justice and Health Project in San Francisco. She also notes that solitary confinement makes those with mental illnesses worse, while those without such problems can develop them if forced to live alone.